Breathtaking is how you might describe Park County, but bewildering is what some are saying about the untold number of legally unlivable homes that county leaders are failing to find for longstanding code violations. FAIRPLAY, Colo. -- Breathtaking is how you might describe Park County, but bewildering is what some are saying about the untold number of legally unlivable homes that county leaders are failing to find for longstanding code violations. "It was a dream diverted," Denver attorney Ian Hicks said of Christina Mansfield and her husband who bought a mountain dream home to later learn its sellers, who built the home, failed to fix code violations more than a decade ago. As Contact7 Investigates first reported in November , records show the county never followed up on the matter yet treated and taxed the property as a legal home. "Everybody involved in this process, from the real estate broker, to the appraiser, to everyone else, missed very obvious problems with this property," Hick said. Hicks filed suit against those parties, including Park County leaders, over the known but unaddressed code violations. The home never received a certificate of occupancy from the county unbeknownst to the Mansfield family. "It's one thing for government to acknowledge a problem and try to fix it," he said. "It's an entirely different thing for a government to acknowledge a problem, refuse to fix it, and to force the citizens to bear the costs of that problem." At least one Realtor who lists properties in Park County said a potentially large number of Park County homeowners may not realize a home they purchased years ago is lacking the various layers of certificates necessary to make the home legally livable. 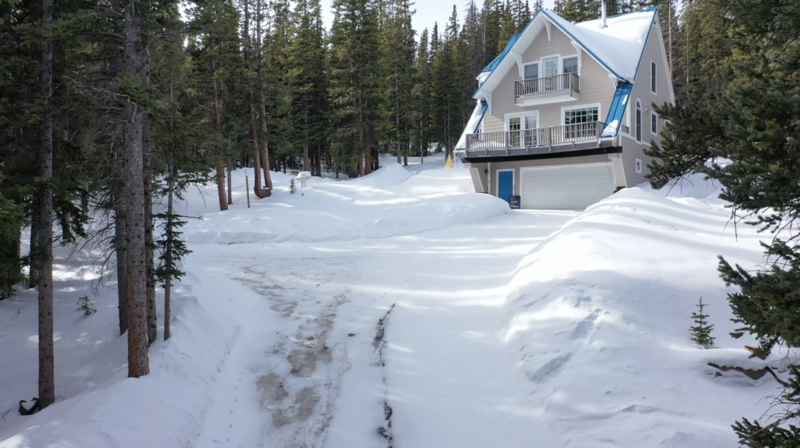 "Absolutely," John Angelico, who's sold homes in Park County for more than a decade, said in an interview with Contact7 Investigates previously. Armed with that kind of knowledge beginning late last year, Contact7 Investigates has encouraged Park County commissioners and leaders to speak on the concerns. But they either downplayed the matter or didn't respond altogether. At one of the commission's latest public meetings, Contact7 Investigates confronted the commissioners and county attorney during public comment. "I'm curious to know where you have gone with this in the last couple months since we last spoke and emailed about this," Contact7 investigative reporter Ryan Luby asked the commission. Before the commissioners responded, the county attorney, Erin Smith, interjected. "The county has been named in a lawsuit concerning this matter, so, at this time, my advice and counsel to the commissioners is that they make no comment on that, which is typical when the county's been sued," she said. "Respectfully, counselor, this is an issue that is -- that far exceeds one lawsuit," Luby responded. "This issue, according to staff in this county, is pervasive." When pressed, the commissioners agreed that they take the concerns seriously, but appear to not have researched the matter. "To say that it's a countywide problem, I think that's an overstatement," Commissioner Mike Brazell said. Contact7 Investigates reminded Brazell that Park County's Director of Development Services, Sheila Cross, suggested the exact opposite in writing in October. She told Contact7 Investigates that she "suspect[s] there are many homes being occupied without [Certificates of Occupancy] -- or even [Temporary Certificates of Occupancy]. Park County is vast. It is not possible, or a good use of taxpayer funds, to assign resources to finding them." Contact7 Investigates has asked, more than once, for the county to provide a list of properties that have outstanding legal troubles under the Colorado Open Records Act. But Cross and other staff said they'd have to search address by address, parcel by parcel to do so. The county apparently does not keep a centralized, searchable dataset to produce that kind of information. "It is patently absurd," Hicks said of the county's code enforcement procedures and the lack thereof. "Look, we're in the 21st century. This is the United States. Government actors are supposed to behave with due process protections and in a rational way, and for them to act this way is astonishing." The Mansfield home is now vacant. The couple recently moved out and is seeking a fresh start in a new state. The home remains available to prospective buyers, but to date no one wants to assume the responsibility of navigating the unresolved code violations and legal issues.